Sneak Peek: A Party Fit for a Princess! It's Party Week Over Here! Not only is Kate Landers one of the nicest people I have ever "met", she is also one of the most creative people I have come in contact with! 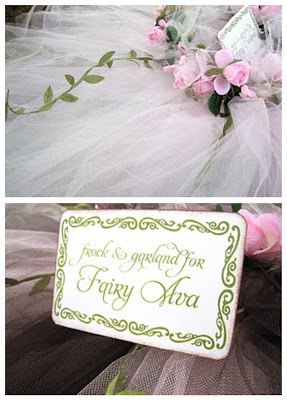 These pictures are from her latest Woodland Fairy Party she created for one lucky little girl. Her attention to detail is always AMAZING. 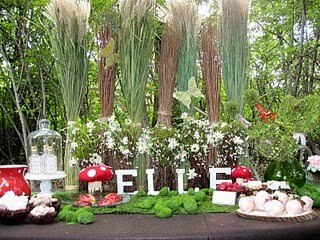 If you look closely, you will see that the backdrop to the gorgeous table is made up of sparkle-coated grass and twig bundles. This is so subtle, but oh so pretty. I love the soothing color scheme of the party: a mix of natural browns and greens, soft creams and whites with touches of pink and red (the birthday girl's favorite!). The precious invitation, address labels and other paper goodies found throughout the party were designed by two of my new favorite party girls/stationery designers...Paper & Pigtails! 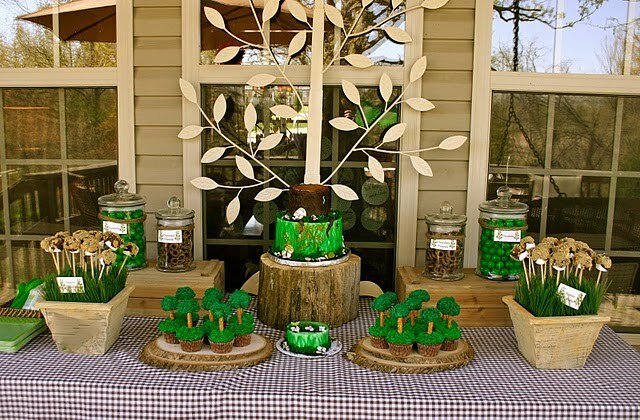 I love the chocolate brown table covering and custom made toad stools! The "fairies" dined on many delicious treats, including a trail mix station. 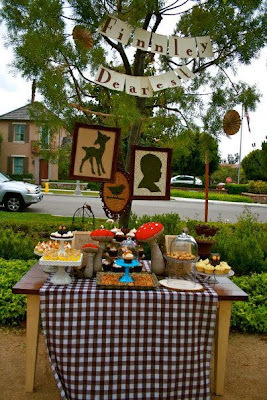 Such a cute idea that works so well with the theme! Each party guest was given her very own fairy frock, garland and wand. What a special memory for the girls! 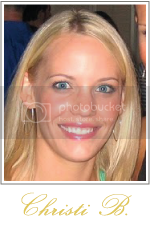 There are MANY more pictures and party details over at Kate Landers Events. Be sure to visit her site to learn more and to find out where you can purchase some of the items seen at the party. Thank you Kate for sharing this perfectly planned party with us!! Recently, I have come across a few other amazing Woodland parties. Visit their sites to see more eye candy from the events! The green grabbed my attention right away. This earthy dessert table and party was planned by Katie Grace Designs. I featured her vintage bridal luncheon not too long ago. 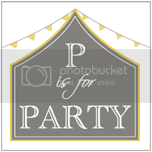 Katie just launched a boutique party planning business as well as a new party blog! 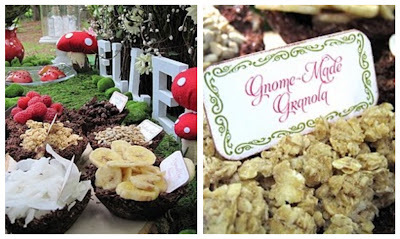 I stumbled across this Woodland party a few weeks ago over at My Sweet & Saucy. I adore this party! You definitely do not want to miss the pictures of this party! 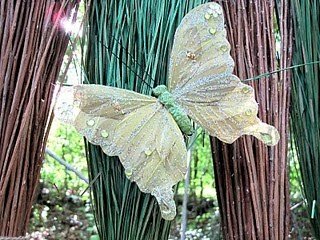 I have enjoyed seeing the Woodland theme come to life on so many blogs. It is becoming a favorite of mine! 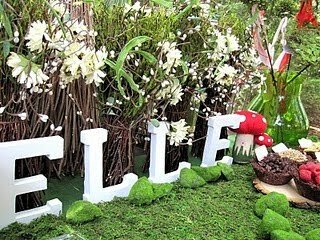 One of the key factors to a memorable party is giving it a cheerful feeling through an attractive theme. Not only will it create a fun and enjoyable party atmosphere, it can also spark the "party energy" right from the beginning with cool party supplies , making your party to be one that shall be talked about among guests for days after. This is adorable. 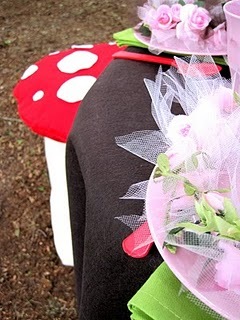 I really like the toadstools. I would do this...if I had a girl, but I guess you could do a gnome version for boys. If it was faries my son would just try to smash them. 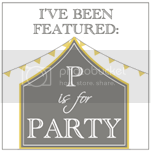 Thanks Christi for your comment about the blog and featuring Sawyer's party. Honored as always!! Love all these parties you showed today. They are all fabulous parties! Such beautiful details. this is the sweetest party ever! LOVING the woodland theme! Could also look super cute in a nursery, don't you think?